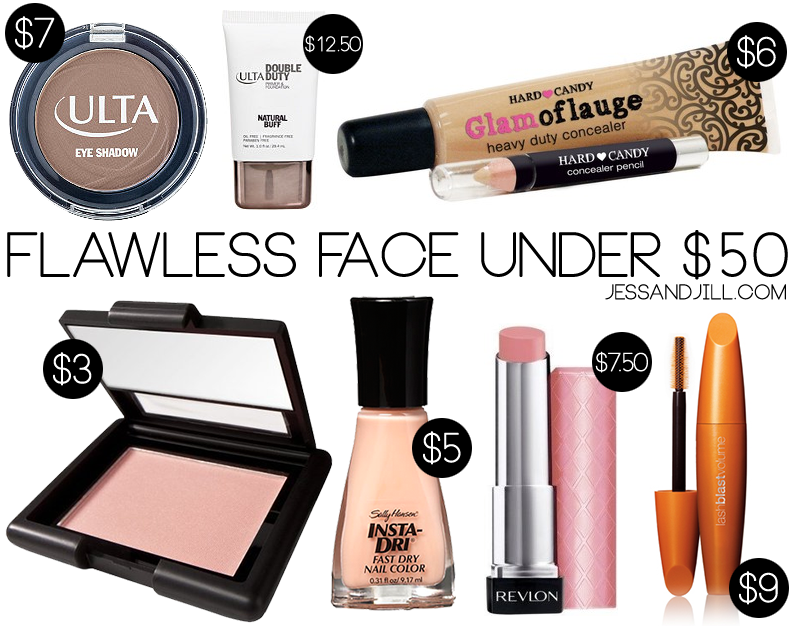 But before you shell out the big bucks, you can create a flawless face for under $50 with these affordable yet solid beauty products. Your face should be as flawless as your resume, and ULTA Double Duty Foundation multitasks just as well as you can! A little product gives a lot of coverage, while the built-in primer sets you up for a smooth, even look.Woke up with a blemish on the big day? Hard Candy Glamoflauge Concealer is a magic potion that instantly camouflages all flaws and problem areas. Dark circles? Breakouts? You’re covered. E.l.f Studio Blush will brighten up your face and add a pop of color to a neutral palette. It’s the perfect way to exhibit your vibrant personality and not cross the professional boundary. The eyes alone can say more than words on paper, so highlight your strengths with ULTA brand eye shadow. Whether you use it all over your lid or dip your brush in water to use as a liner, it’ll help you engage in the right amount of eye contact to showcase your confidence. Leave the clutter off your resume and the clumps off your eyelashes with CoverGirl LashBlast Mascara. It’ll separate your lashes while separating you from the competition! You’re the perfect fit, so you deserve to talk up your experiences without worrying about chapped lips. Revlon ColorBurst Lip Butter locks in moisture and enhances your natural lip color, keeping them hydrated and ready to answer any hard-hitting questions. Make the first and last impression a good one with a firm and polished handshake, courtesy of Sally Hansen Insta-Dri Nail Color. You’ll get that job offer as quick as your polish dries! And that’s how you get the CEO look without spending CEO money. You’re ready to brush off your shoulders, walk into that office, and conquer that interview with your flawless and finished look! Jess and Jill are two BFFs in Chicago with a love of fashion, food, beauty, and everything Windy City related. Outside of blogging, Jess is a visual merchandiser and coordinator, and graduate of the University of Florida. Jill is a Social Producer at Chicago Blogger Network, and recent Master’s graduate from the University of Chicago, with previous education from the University of Central Florida. They love social media, are self-diagnosed nail polish hoarders, and like to share their humorous friendship with their readers.